Getting your child to read can be something really difficult to do. This is especially the case when he/she is not one that likes reading. Seeing words and more words in the book switches them off and it is a losing battle trying to get your child to cooperate and read as it is not a task which interests them. Here are three tips for you based on what I have personally tried out with my own kids. Nowadays there are numerous books available for reading via the iPad. Many of these have interactive features like -Reading aloud with text being highlighted, puzzles and other games related to the storyline. Elfishki and the Giant Cake and the other stories by Elfishki are 10 minutes stories which will appeal to kids who are used to seeing lots of interactivity. If you are looking for graded readers to read along or for reading independently do check out the FarFaria Stories of graded readers where for a subscription you can get access to 100 over books and new books are added in every month. I recommend this source for kids age 2-7 years old. If you are not big on interactive stories or wish to listen to stories on the go Audio books are something which you should check out. You can play the tunes in the car or iPod for your child as he commutes to school and back or during waiting time in between activities. Treebobs Audio books has a great series of books to stimulate the young mind. The narrator and the audio cast use their voice to portray the different characters and their various actions in the story. By listening to the stories the child brush up on their listening skills and learn to focus and concentrate while developing their own associations to what they are listening to. They create their own notion of what is happening in the story based on their prior knowledge and creativity. I recommend this for kids age 7 and above. 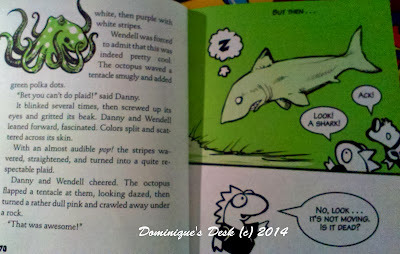 Having graphics within a book make it easier for the child to visualize how the story is like. Younger kids relate easier to visuals then the static word. Having pictures relating to the storyline on each page breaks up the monotony of reading and helps them understand better what is happening in the story. 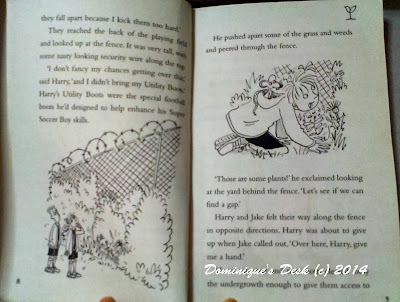 Super Soccer Boy and the Monster Mutants by Judy Brown is the book that I featured in the pictures above. 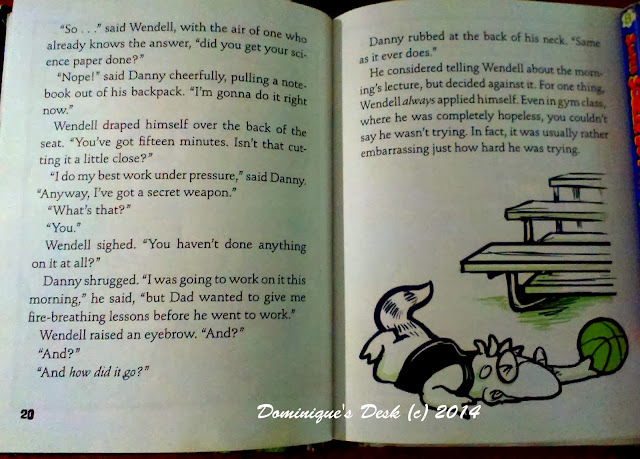 This particular book has 12 chapters and it makes for an easy read for a 2nd grader. Doggie boy and I read through the book together. We spend about 10 minutes each weeknight on the book . We read a chapter a day and he and I alternated between reading the different pages of the chapter. 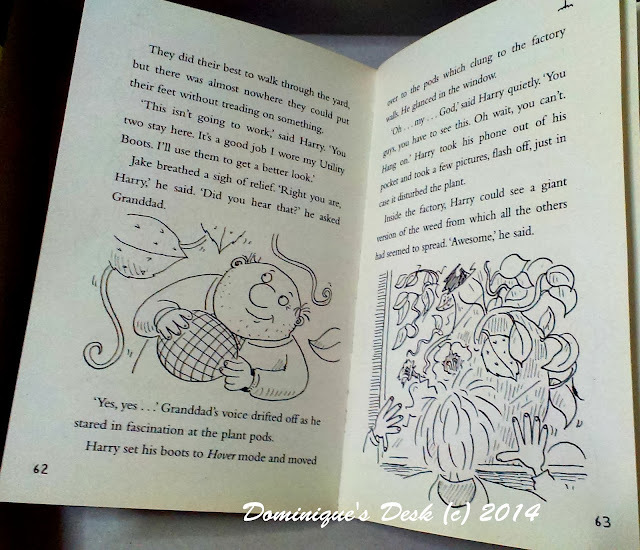 Having comic strips within a chapter book also increase the interest a book for a child. Dragonbreath was another book which Doggie boy and I recently read. Initially he wasn’t interested to read the book together with me. When he saw comic strips and read how fun the conversations were between the different characters his interest in the story grow. He was even looking forward to the nightly 10 minute reading routine which we had set up recently. I recommend this for kids 6 and up. Disclaimer: We borrowed the books Dragonbreath and Super Soccer Boy and the Monster Mutans from the National Library for the kids to read.This post has a compensation level of 3. Please visit Dominique’s Disclosure page for more information. Nice tips, Ms. Dominique! In addition, if the kid is old enough, try to buy a book that interests him/her. If the kid doesn’t like reading by himself, read aloud but do not read the entire book. Stop reading right where it gets interesting, and make the kid wait. Hopefully, it would encourage the child to read by himself. PS: I got this tip from a homeschooling student whose essay I got to review. Thanks for this tips. I can use this one soon since my little Matt will be in school next school year.